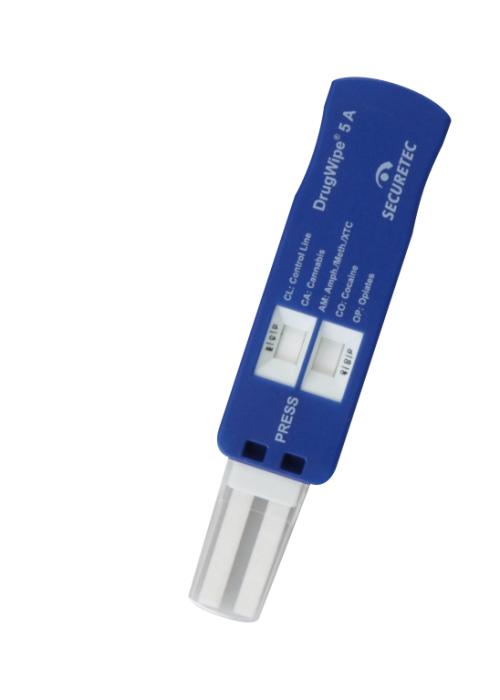 DrugWipe A is a drug screener that tests for controlled substances present in saliva, sweat and surfaces. It allows you to conduct a test in an easy to use, quick and hygienic manner without the invasion of privacy. The test begins as soon as the test strip is immersed in water. The water helps the drugs that are bound to the antibodies to migrate to the test line. A sequence of red lines appears on the readout window, depending on the results. DrugWipe A detects multiple controlled substances: cannabis, opiates, cocaine, amphetamines and methamphetamines. 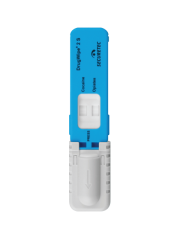 DrugWipe A single and multiple tests have integrated control lines. The control line indicates that the test is fully functional and that the screening test has been performed correctly.